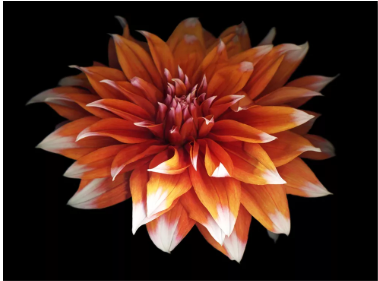 A few months ago, I was scanning my LinkedIn feed when my attention was grabbed by an eye-popping image of a bright orange Dahlia – not a typical business image. With countless stock photo resources, cameras on cell phones and an array of DIY graphic design and video apps, the Internet has become flooded with visual noise. Like me, you probably skim right past most of the images (and the posts they represent) as you look for content that is relevant and interesting to you. I was delighted when I realized that the attention-grabbing Dahlia was produced by a friend, Susan Barmon, who I met when we were students at the Portfolio Center, over 35 years ago. LinkedIn and Facebook have certainly enabled us to rekindle all kinds of relationships and it’s always interesting to catch glimpses of the work that our friends are doing and reconnect. Susan and I had been connected in LinkedIn but we had not actually spoken directly in 3 decades. She was a Photojournalism major and I remembered her engaging black and white images of people. I could not stop thinking about the impact of her crisp, colorful Dahlia image and wondering what kind of work she was doing today. In a few days, I went back to view her LinkedIn profile. I clicked to visit her website, www.susanbarmon.com and viewed all of her “Botanical Scanography” portfolio. In addition to powerful single flower images, Susan’s portfolio included fantastic arrangements as well. Each image was incredibly crisp and almost appeared to be 3 dimensional. I sent Susan a quick note through LinkedIn and she replied immediately. We scheduled a phone call and talked for nearly 2 hours. Susan described that her images are actually produced with a simple scanner but her process is far from simple. Each image takes about 10 to 12 hours to produce. She actually builds a Tinker Toy scaffold, arranges compositions upside down, hanging over an open scanner. Susan said, “It’s almost like lying on your back, looking up into the arrangement”. Two years ago, I created the GardenZeal.com website to demonstrate my Internet, Content Creation, Video, and Social Media skills around subjects relating to Growing Well, Eating Well, and Living Well. I built the WordPress website where I blog and produce ongoing content. It is intended to be a showcase for my marketing communications and PR services as well as an encouragement to others to enjoy life and take better care of themselves, their families, their communities and our planet. Until now, I have produced all of the images and content on the GardenZeal website and social sites along with some contributions by my husband, Simon Wakefield. I told Susan about my marketing plans for GardenZeal products. I described how each item would represent new opportunities to reach out, make impressions, engage our existing networks, and attract new customers for all of our products and services. She fully understood the social networking potential and jumped on board for this joint venture. We’re just getting started. Today, several of Susan’s images are featured on Pillows and Tote Bags in the “Susan Barmon Collection”, offered only through the GardenZeal Shop. All of the items in this collection include one of Susan’s scanography images that are individually printed and sewn for each order. The resolution is remarkable and the quality is exceptional. 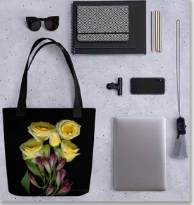 The tote bags are extraordinary, sturdy and versatile. More images and products are on the way. Mother’s Day ad campaigns have started and will be ongoing in social media. 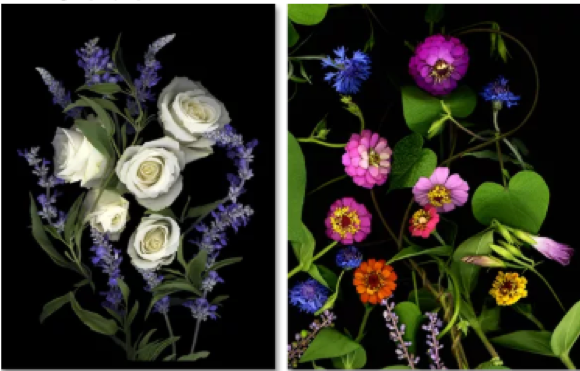 Click here to browse more of the items in the Susan Barmon Collection.https://gardenzeal.com/product-category/collections/susan-barmon-collection/ Detailed descriptions are included on each product page. More images and products are planned and will be introduced soon. Sign up for our mailing list and we’ll let you know when Susan and I list new images and products. When you subscribe toGardenZeal® you are supporting our website and enabling us to create and publish more of the content and products that you enjoy. You can check areas of specific interest, including the Susan Barmon Collection on the form below. We look forward to growing and sharing with you. When you subscribe toGardenZeal® you are supporting our website and enabling us to create and publish more of the products and content that you enjoy. We aren’t one of those companies that will fill your inbox with unnecessary, pushy sales and spam messages. We’ll only write when we have information to offer that you have expressed interest in receiving. You can unsubscribe at any time by clicking the link at the bottom of any email you receive from us. We will never share or sell your contact information.